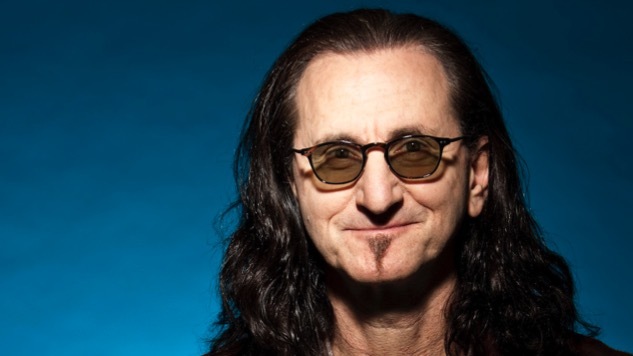 Today Paste magazine published a new interview "Rush At 40: Geddy Lee Talks the Past, Present and Future". Geddy confirms that while thoughts of future touring as slim, the door is still open to Rush recording another album in the future. You can read the full interview here. - Thanks to RushFanForever for the headsup! It's time for the next update of Rush References in Pop Culture. Since my last update two months ago, quite a few items have already come to light. 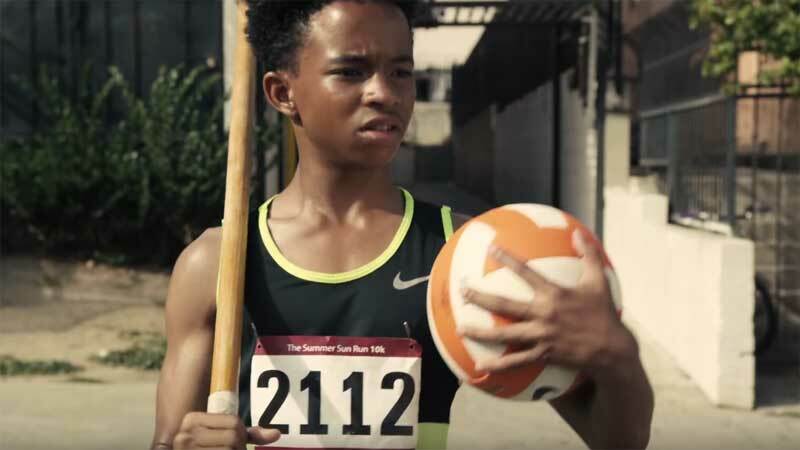 During the Nike commercial "Short A Guy" which premiered back in July (and I'm sure you've seen a dozen times), a kid is first asked to join a game of pickup basketball, before being asked to join various other sports activities with associated athlete celebrities. When he joins the marathon he is given bib number 2112. Adam Sandler first performed version 4 of his "Chanukah Song" live in concert in San Diego on November 18th, and this updated version includes Geddy Lee among notable Jewish celebrities. You can watch the performance here. 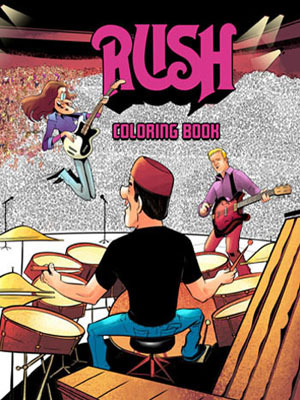 Rush has been referenced on the animated series Family Guy twice in the past, and for their 248th episode (titled "Fighting Irish") which aired May 3, 2015, Peter tries to lure Liam Neeson into a fight by selling black jeans from a vendor cart. Among other taunts he yells "Don't be the only one at the Rush concert without a pair of black jeans!" During episode 3 of the new Marvel Netflix series, Jessica Jones ("AKA It's Called Whiskey") which aired November 20, 2015, the numbers for an address that are spoken aloud are "2112". "...He was bobbing his head in time to his favorite Terra Forma battle soundtrack song, 'Vital Signs' by Rush. Ray claimed that its unique time signature matched up perfectly with the alien Spider Fighter drones' erratic swarming patterns, making it easier for him to anticipate their movements and rate of attack. He also claimed that each of the other songs on Rush's Moving Pictures album was perfect for battling a different Sobrukai drone. Personally, I'd always assumed this was just an excuse he'd concocted for playing that same album on a continuous loop, day after day. The video game Guitar Hero Live was released October 20, 2015, and "Limelight" is one of the songs available in the game's TV mode. For more game details including videos click here. During the October 30th episode of Dr. Ken (season 1, episode 5), after being dosed with a pain-killer lollipop, Pat (Dave Foley) is listening to headphones, and yells to people in the office "Do you like RUSH?! This drum solo is sick!" You can view the episode here. Caustic Casanova's new video for "Show Some Shame", from their new album Breaks released September 25th, is a near complete recreation of Rush's "Time Stand Still" video, including the same spins, camera girl, industrial pillar, etc. The video begins with a Rush Chronicles style placard, and ends with the tribute "We thank Geddy, Alex and Neil for over 40 years of timeless music. Freeze this moment a little bit longer. X-Men: Apocalypse is set for release on May 27, 2016, and as seen in the official trailer (at the 1:50 mark), Quicksilver (Evan Peters) wears a 'Moving Pictures' t-shirt. Since my last update, there has been another Rush sighting on The Goldbergs. During the episode “Boy Barry” (season 3, episode 5, aired October 21st), the high school sax player is seen two more times throughout the episode (apparently on two different days) wearing the same Moving Pictures t-shirt (does he ever wash that thing?). 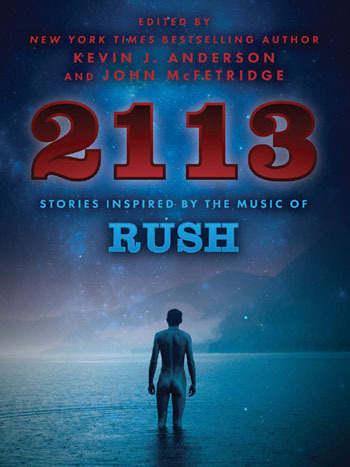 As covered previously, Geddy Lee and Alex Lifeson guest starred on NBC's Chicago Fire in an episode titled "2112" which aired Tuesday, November 17th. The storyline involves Rush performing a concert in Chicago and a few lucky Firehouse 51 fans snag free tickets to the show. You can view the episode here. ESPN's pregame show on December 13th featured Cincinnati Bengals fan Jeff Wagner, who hand makes banners for every home game. Interviewed while wearing an R40 Live tour shirt, Jeff says he starts off creating his banners by "turning on Rush, greatest rock band in the history of the world." Check out his story here. In John McEnroe's biography Serious, published June 10, 2002, he talks of being a fan of Rush, and of getting a guitar lesson by Alex Lifeson. "The Spirit of Radio", performed by Rekha on Milky Ocean (iTunes), was released October 15, 2005. You can hear it Youtube. "Witch Hunt", performed by MolchMon on Expose, was released November 19th. The track is available on their bandcamp page. Rush are interviewed in the Rob Cohen documentary Being Canadian, released April 26, 2015. In the documentary, famous Canadians (and some non Canadians) are interviewed in an effort to explain Canada to the world. Check out the trailer here; Rush are at 1:36. Geddy Lee is one of the many musicians interviewed in Jaco: A Documentary Film, which premiered November 22, 2014. The film tells the story of legendary bassist Jaco Pastorius (a short snippet of Geddy discussing fusion music from the documentary can be seen here). - If you have anything to add, please feel free to email any suggestions. Thanks to Eric Nemchock, Syrinx Starr, Colin from Scotland, Javier Reyes, Mark Stench, Doug Kucinski, Andrew Weis, Dave Prine, Tod O’Donnell and MolchMon for their help with this update. TeamRock.com has posted "The 10 best stand-up comedians, by Geddy Lee." As the title suggests, Geddy lists his top 10 comedians; check out the story here. Listen to My Planet Rocks every Sunday at 7pm. 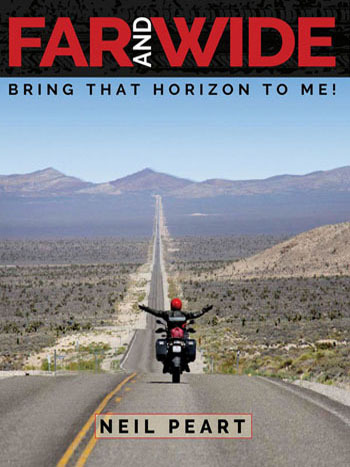 This week (20th December) - Rush frontman, Geddy Lee! - Thanks to Ed at RushIsABand for the headsup! On Monday MusicRadar.com posted a new interview with Geddy Lee where he talks about the R40 Live release, how Peter Dinklage became involved, the inspiration behind the video for The Wreckers, the perfect night of recording in Toronto, and more. 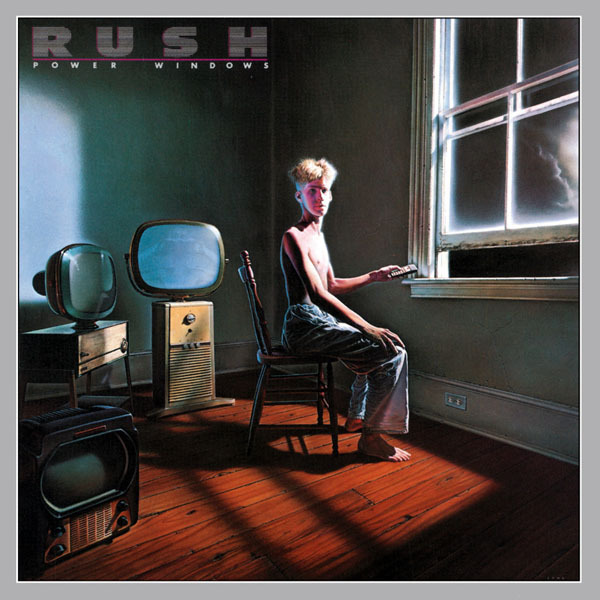 North American syndicated Rock radio show and website InTheStudio: The Stories Behind History’s Greatest Rock Bands pushes the button on the thirtieth anniversary of Power Windows, the mid-Eighties million selling album from Rock and Roll Hall of Famers Rush that fully adopted an evolving sound complete with synthesizers and string arrangements. 1981’s Moving Pictures had catapulted Rush to international stardom while capping off what was the classic ‘70s era Rush. 1982‘s Signals would signal the end of their longtime relationship with producer Terry Brown, and by 1985 Rush would take a new approach to the studio, with producer Peter Collins pushing the band to rethink everything, with spectacular results. 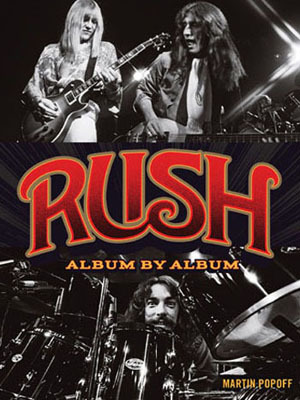 Rush lyricist/ drummer Neil Peart saw an uncanny number of socio-political issues to write about with songs like “The Big Money”, “Manhattan Project”, and “Marathon” while guitarist Alex Lifeson would breath new life into his guitar parts, stretching and creating news sounds for every new composition. As bassist/vocalist Geddy Lee expresses to InTheStudio host Redbeard, Power Windows initially sounded like a silly name for an album, but it soon stuck. RUSH Power Windows @ 30/ InTheStudio interview is now available to stream here. Geddy and Alex will be appearing on "In The Studio With Redbeard" tonight, December 14th. Based on this description, this will be a new interview appearance, and they will look back 30 years to discuss the release of Power Windows. - Thanks to Lance Buckhammer for the headsup! Today's ESPN pregame show featured Cincinnati Bengals fan Jeff Wagner, who hand makes banners for every home game. 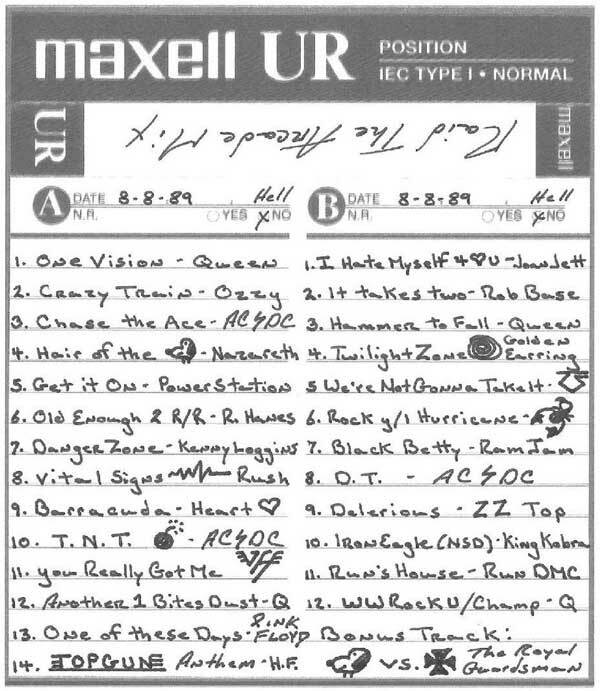 Oh, and he starts off by "turning on Rush, greatest rock band in the history of the world." Check out his story here. - Thanks to Dave DeSantis and Ed at RushIsABand for the headsup! "Lately Olivia has been introducing me to new friends at school as "My dad--He's a retired drummer." True to say--funny to hear. " He goes on to reflect "and it does not pain me to realize that, like all athletes, there comes a time to... take yourself out of the game. I would rather set it aside then face the predicament described in our song "losing it" ("Sadder still to watch it die, than never to have known it")"
The complete article is now available here. It also includes "Notes for Neil", a sidebar piece where many of today's drummers congratulate Neil on his (touring) retirement. - Thanks to Joe Pesch for the headsup, and to John Patuto for the transcript! Today Canada's MusicExpress chimed in on the question of Neil Peart's retirement with a new interview with ole general manager, Andy Curran, who replied “It’s just a rumour as far as I know”, but the article went on to say that the band is committed to at least one more studio project. Check it out here. - Thanks to Ed at RushIsABand for the headsup! Geddy is in the UK doing press interviews this week to promote R40 Live, and in a new interview with the BBC again says "I'm one of three members and everybody has a kind of different idea about what they'd like to do with the rest of their lives. So I'm not really sure at this point whether there will be more tours or not. But I remain optimistic." You can read the full interview here. - Thanks to Ed at RushisaBand for the headsup! Lee tells Prog: “There’s really nothing to say. I think Neil is just explaining his reasons for not wanting to tour, with the toll that it’s taking on his body. That’s all I would care to comment on it. We’ll get together eventually and chat about things. But in my view, there is certainly nothing surprising in what he said. Neil just feels that he has to explain with all the thousands of people asking, ‘Why no more tours?’ He needs to explain his side of it." Noisey.com has posted another new interview with Geddy Lee. 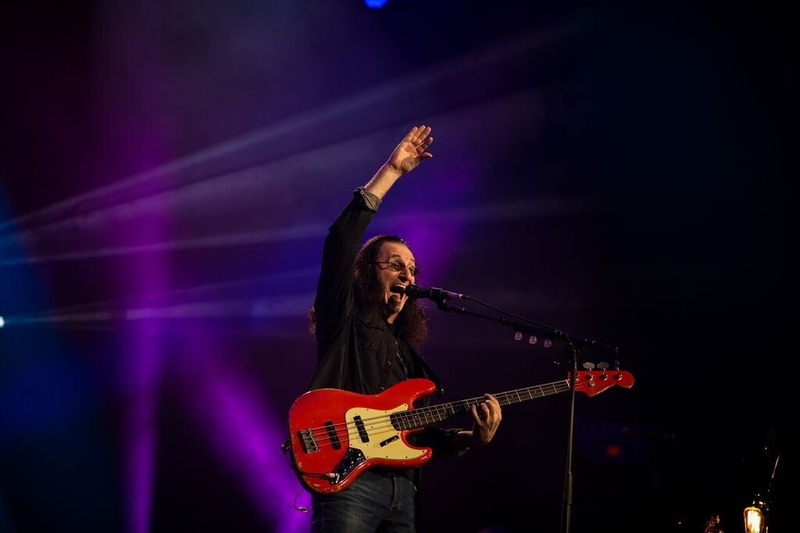 In "Rush at 40: Still Breaking Boundaries, Still Down with the Nerds", Geddy talks about the reverse chronology of the setlist, the second set full of epics, the effects of age in vocal ability, trainwrecks on stage, the magic of the second night in Toronto, and more. Check it out here. 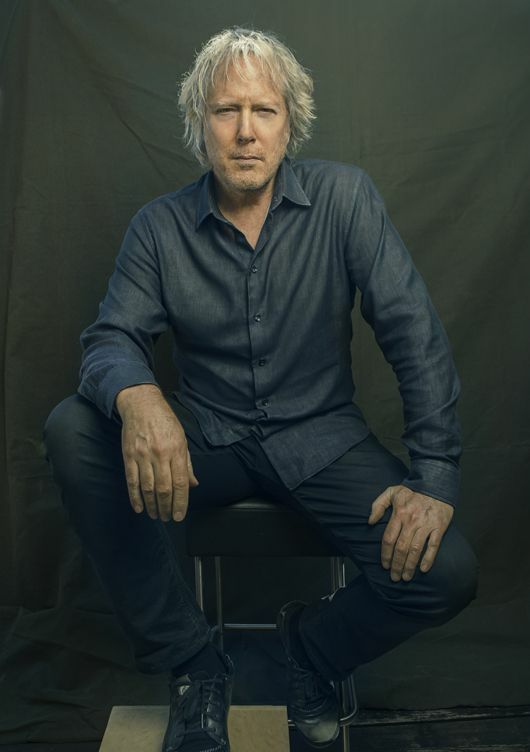 Today UDiscoverMusic.com posted a new "Q&A With Rush ‘Starman’ Hugh Syme". Hugh looks back on how he first began his relationship with Rush, his favorite cover, his most challenging cover, the 'masterpiece' of Permanent Waves, and more. You can check it out here. 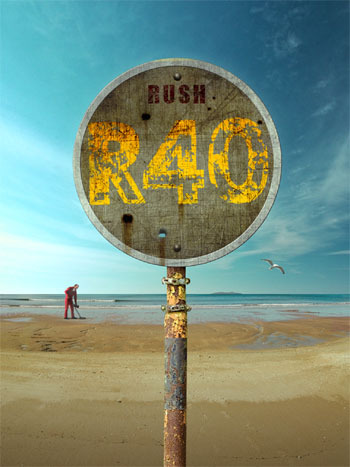 Rush's R40 Live, their latest concert video documenting the R40 tour, filmed in Toronto on June 17 & 19, 2015, hits store shelves today, November 20th. The concert is available for preorder in one of five different formats (click to preorder): 3 CD set, DVD, Blu-Ray, as well as CD+DVD combo pack and a CD+Blu-Ray combo pack. In addition, Best Buy is offering a "Starman Flashlight" with their R40 Live video+cd deluxe editions. 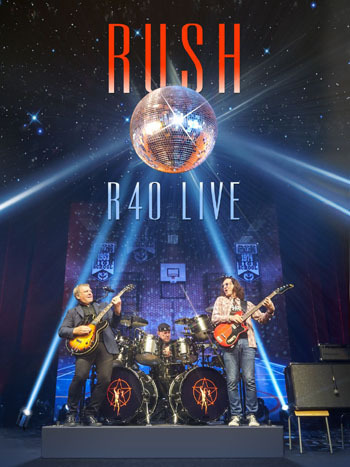 You can view the tracklists of both the CD and video versions on our R40 Live page here. The album debuted at number 1 on Billboard's Top Rock Albums chart (dated Dec. 12) with 24,000 copies sold, according to Nielsen Music. Rush.com officially announced the release of R40 Live on September 25th when they shared the audio of Roll The Bones, featuring the new celebrity rap. The "Roll The Bones" single is also available to purchase here. The second single, "Closer To The Heart", was released October 23, and "Tom Sawyer" was released November 6, 2015. The official trailer was posted on October 8th, and in the ensuing days videos for "Jacob's Ladder", "Closer To The Heart," "The Spirit of Radio," "Tom Sawyer," "Subdivisions" and "Xanadu" have been shared; all videos can be seen below. Today the AV Club shared a new interview with Geddy Lee about Rush's 40 year career. Geddy talks about a few iconic Rush tracks including working with Andy Richards, Aimee Mann and Bob and Doug McKenzie, the similar circumstances in writing "YYZ" and "Malignant Narcissism", doing another solo album, and more. Check it out here. Rush racks its third No. 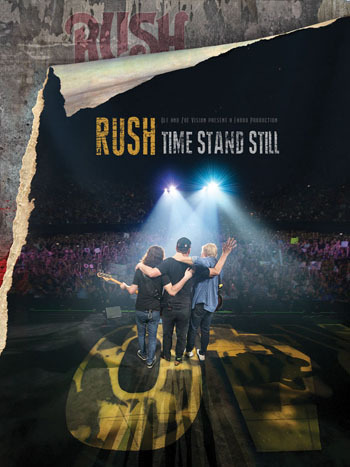 1 on Billboard's Top Rock Albums chart, and first leader with a live effort, as R40 Live, the classic rock trio's three-disc set chronicling its 40th anniversary tour in spring/summer 2015, debuts atop the list (dated Dec. 12) with 24,000 copies sold, according to Nielsen Music. 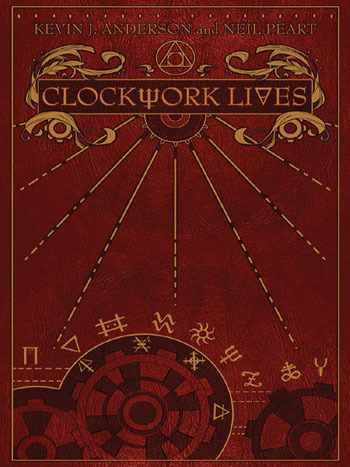 R40 Live follows previous chart-toppers Clockwork Angels in 2012 and Snakes & Arrows in 2007. 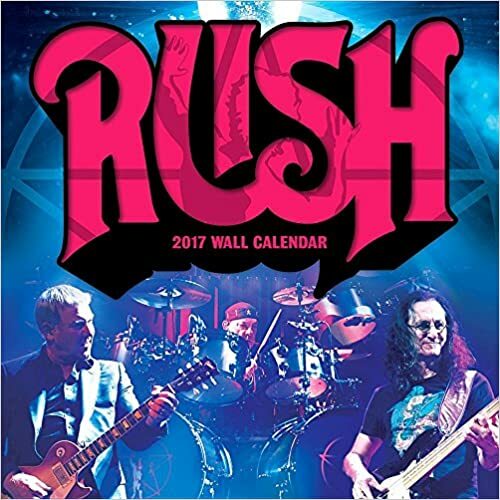 While Top Rock Albums launched in 2006, Rush's history on the Billboard 200 dates back four decades. The new album debuts at No. 24 on the Billboard 200, marking the band's 24th top 40 title. 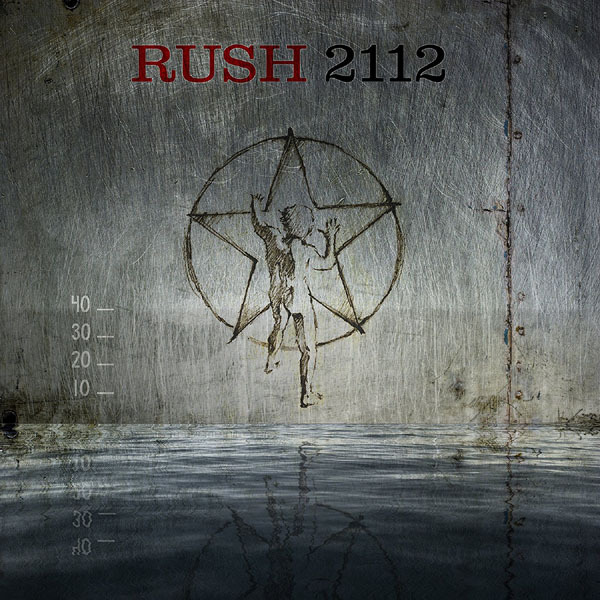 Rush first reached the region with another live release: All the World's a Stage: Recorded Live (No. 40, 1976). One perk of getting into the Rock and Roll Hall of Fame -- you get to vote for who else you think should be enshrined. So who would 2013 inductees Rush put in? We recently spoke to Geddy Lee and Alex Lifeson, and they were both surprised to learn that one of this year's nominees, Chicago, aren't already in. Geddy says, "Great band. We all listened to those early CTA [Chicago Transit Authority] records." And Alex adds that they were very "influential." Asked who he'll vote for, Geddy said, "Yes and Deep Purple 100 percent." Other notable nominees this year include Cheap Trick, The Cars and Steve Miller. The Class of 2016 will be announced in mid-December.